Who will be the Championship’s top scorer? A lot of the time when a player finishes top scorer in the Championship their team finish within the top six. That is why it is so important to have players that will put the ball in the back of the bet regularly and Championship teams are now starting to pay quite a bit of money for them. An example of this is Jordan Rhodes who almost by himself kept Blackburn Rovers in the division last year will be hoping that he can just keep doing what he has been year after year. He is an exceptional goal scorer, give him a chance in the box and he will put it away. Personally I think if Blackburn don’t go up then he will still be in the Premier League next season because he deserves to have a chance in the top league. Charlie Austin has just moved to QPR and this will give him even more chances to put the ball in the back of the net, he is playing with better players and will be involved in a promotion battle rather than a relegation battle. Yet again he is someone that I rate really highly and am surprised that a Premier League team has not signed him. He could be the difference between QPR going straight back up and spending another season in the Championship. Reading striker Adam Le Fondre will be hoping that he gets more time on the pitch last season because even though he had a phenomenal goals to minutes ratio in the Premier League he still wasn’t given the opportunity to start many games and was used more as a super sub. I hope Adkins does use him better now and he will prove to everyone that he deserves another chance in the Premier League and fires Reading to the Championship title. Chris Wood had a great start to his career at Leicester City but he didn’t quite keep his good run going and when the team were struggling so was he. That is not to blame him personally but it is slightly worrying that if the team aren’t performing neither is one of your main strikers. But he is still only a young player and will continually get better and maybe this is his season to shine. 7 goals in 17 games is still an impressive return and if he gets something similar next year he could be near the top of the goal scoring charts. The final pick is Grant Holt. Not much needs to be said about this man, he has fired teams to promotion on several occasions and scored goals at every level including the Premier League so I expect him to lead the line for Wigan and score a lot of crucial goals. He may not have had the greatest year last year but it was not that long ago when some people were wanting him to be called up to Roy Hodgson’s England team. 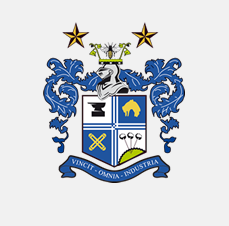 Bury have been relegated from League 1 this season but there may be more problems on the way for the club. Recently it was reported that they need another £1 million just to survive and this could be a real problem as it is a lot of money especially for a club that will be playing football in League 2 next season. They have only picked up 37 points from their 44 games this season but their victory over Scunthorpe United would have been a moral boosting performance for everyone involved with the club, most importantly the fans because they haven’t had much to shout about for a long time. Their current manager is Kevin Blackwell and I was actually quite surprised when he took the job as I thought he might have been holding out for a job closer to the top of the league or even a lower positioned Championship club. It hasn’t all been his fault but only nine wins in 41 games is quite a poor record and maybe he owes it to the club to stay and try and get them promoted at the first time of asking. Blackwell has recently talked about Bury’s plight and does fear they could drop out of the Football League which isn’t the greatest thing to say but at least he is being honest with the supporters and letting them know how bad the situation is. On the playing side of things obviously the players haven’t performed that well but there is still some good players at the club. Midfielder Stephen Schumacher is definitely someone that deserves praise as he has 10 goals this season which is a good haul but unfortunately he is their top scorer and that certainly isn’t good enough. 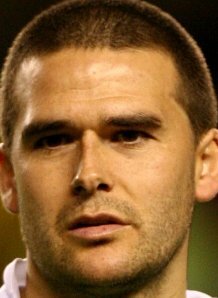 So, you would have to point to the strikers and wonder what has happened this year, and there are some quite recognisable names in the squad with the most notable being David Healy. Healy has over 100 goals in club career and has 36 international goals so he clearly does have a lot of quality but it simply has not worked out for him and 1 goals in 19 appearances is very poor for someone that could have had the potential to have played at a much higher level. Craig Fagan is another player that during his career has played at a higher level and even though he may not have been prolific at any point, he should still have a better record than 1 goal in 10 games. Finally, Nicky Ajose is also at the club and unfortunately for him, he couldn’t recapture his form the last time he was at the club when he scored 13 goals in 28 games, this time only contributing 3 in 17. Obviously you cannot just blame the strikers as the midfielders haven’t chipped in and at the back at times they haven’t looked the greatest. It is going to be very tough for them now to get straight back up and may just want to concentrate on making sure the club stay alive. 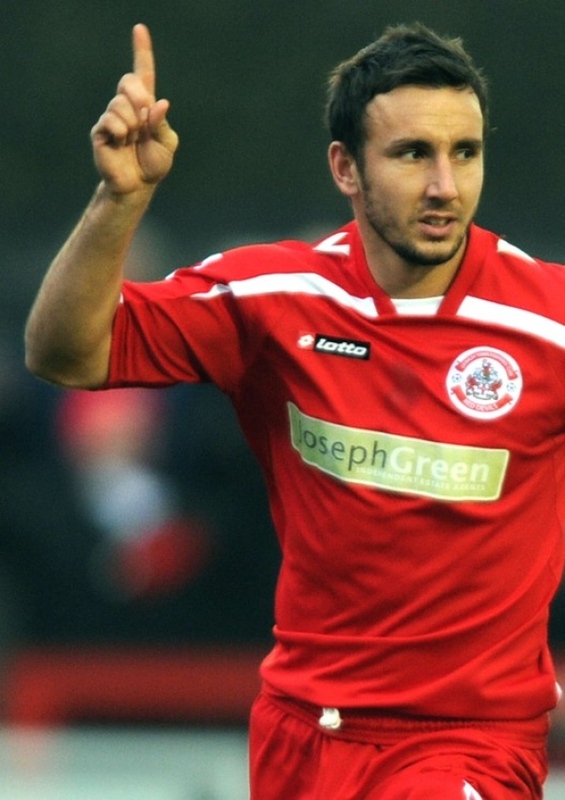 Who will be League 1’s top scorer? League 1’s race for top scorer could be a very contest as there are some very good strikers in the league this year who can score a lot of different types of goals. The first player that could do the business this season is a striker that has a lot of responsibility on his shoulders this year and will be vital if the team want to achieve their targets. 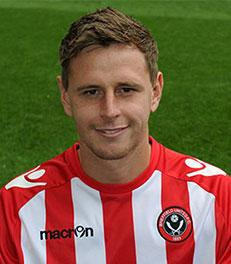 Chris Porter of Sheffield United has a really big season in front of him. He agreed a new two year deal in the summer so he now knows he has a bit of security and can go out and not worry about his future. He only scored 5 goals last season but one of those was in the playoff semi final against Stevenage so when the pressure is on he can score. 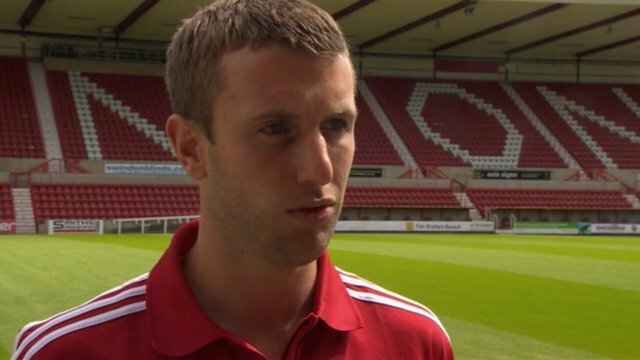 Andy Williams had a fantastic year last year and will be hoping he can perform to the same level for his new club Swindon Town and will be hoping that playing under Paolo Di Canio he can learn a thing or two in the process. He scored a lot of goals for former club Yeovil Town and now playing for a team that has realistic promotion ambitions he will surely get more. Matt Tubbs had a good start to his career at Bournemouth by scoring on his debut but that was his only goal for the club last year as he struggled with injuries for the remainder of the campaign but there is no doubting his abilities and I am sure he will put away the chances in the coming season. He has proved his worth at every level he has played at so he will be hoping that League 1 is not a step too far and he can carry on his phenomenal goal scoring record. New MK Dons signing Ryan Lowe will be hoping that he can get a good start to his time at the club and score the goals that finally get them promoted to the Championship. Lowe has been one of the best finishers in the lower leagues for a number of years now and even though he didn’t play as much as he would have liked for Sheffield Wednesday he still managed to get eight league goals. He will get more chances to start at MK Dons so I expect him to at least double that tally. 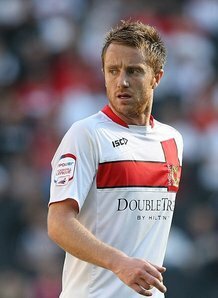 Dean Bowditch, yet another MK Dons player could also be a contender and that is down to the way they play football. They will create chances and it is down to the strikers to put them away and Bowditch has shown that he can score goals by getting into double figures for the last three consecutive seasons. He got 10 goals last season and you have to believe now he is 26 and more experienced he will be starting to hit his peak and will start getting more and more goals. 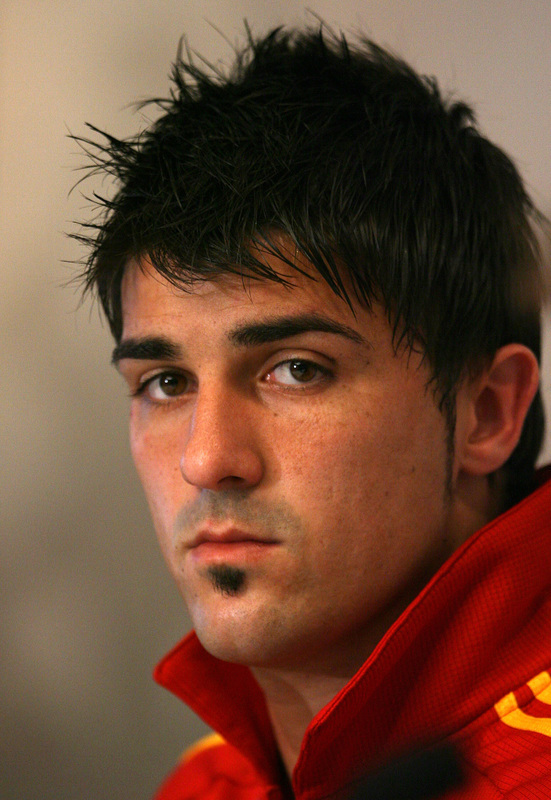 However, he has played on the wing for them at times and this will lower his chances of scoring on a regular basis. Who will win the League 1 playoffs? League 1 playoffs could be the most exciting they have been in a number of years as I cannot see an outsider out of Sheffield United, Huddersfield Town, MK Dons and Stevenage. Sheffield United will play away to Stevenage in the first leg while Huddersfield travel to MK Dons. So will the club from Sheffield be able to get their season back on track after losing out to Sheffield rivals Wednesday in the race for the automatic spots. Or will Stevenage continue their good form under Gary Smith? Can Huddersfield go one better than last year and win in the playoff final? Or will MK Dons passing style be good enough to get them into the Championship. Sheffield United finished in third place an therefore you would think that they would be favourites but with everything that has gone in recent weeks will get their fans worried and they may not be as confident as they should be. With them running out of strikers with James Beattie the latest to get sent off they may struggle to get the goals needed to win the semi final and then the final. But they do have experience in their squad and should be able to deal with the pressure, the fans will also play an important part as Bramall Lane can be a difficult place to go when the fans are fully behind the team. A key player to watch is Lee Williamson who can get goals from the midfield and will cause problems for the Stevenage defence, he has scored 13 goals this season which is a good return for a midfielder and is the top scorer in the squad currently. Huddersfield Town now with Simon Grayson in charge have been slightly inconsistent since he took over from Lee Clark but he has managed to guide them to the playoffs. 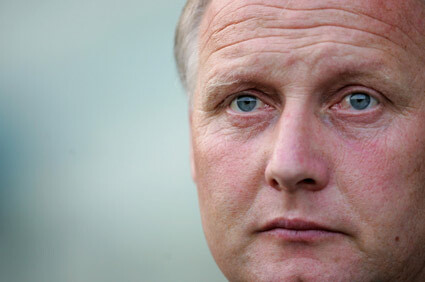 He does have history of being in the League 1 playoffs and has won it on one occasion with Blackpool in the 2006-07 season but unfortunately has lost a playoff when in charge of Leeds United. So the key player for Huddersfield in my opinion will no doubt be Jordan Rhodes who has got 38 goals this season and if they can keep him fit for the playoffs they will score goals but one worry is that there will be too much pressure on him and he may not be able to perform as well as we all know he can. MK Dons go into the playoffs on the back of a 1-0 home defeat but this shouldn’t make them feel any less confident as they were already comfortably in the playoffs. Karl Robinson deserves a lot of praise for what he has done at the club and has made his team play good football. He likes his side to keep possession and no matter what happens he wants his team to keep the ball on the floor which is very rare in League 1. A key player could be Dean Lewington and although this may strange because he is a left back, he can be very influential and has played 53 games and added four goals this season. He has a good left foot and is a very solid defender for the club. Stevenage secured their place in the playoffs on the last day of the season with a 3-0 win over Bury. The club may have been criticised by some fans because of their direct tactics but they are only getting criticised because it is working for them and it is very difficult to stop. The recent 2-2 draw away to Sheffield United will give them confidence to go there and take the game to the Blades and they have a very good home record so they have a really good chance. Also beating off the competition to secure their place in the playoffs will give their players a massive lift. Scott Laird will be vital for the team during the playoffs and he is actually the second top scorer for the club with nine goals this season. He has very good delivery and sets up a lot of goals for his teammates. I think Stevenage will beat Sheffield United over the two legs because they will be very confident and it will be hard for Danny Wilson to pick up his players for the two games and Stevenage will put a lot of pressure on their defence. If United ‘s defence can stay strong they may have a chance but I don’t think they will. In the other semi final, I think MK Dons passing game will be good enough to beat Huddersfield as they are too over reliant on Jordan Rhodes at times and if he struggles they will most likely lose. The final will be a game of two differing styles of football and I think because of that Stevenage will come out on top and achieve their third promotion in three seasons. Will Reading succeed in the Premier League if they get promoted? Reading are timing their run perfectly to gain promotion to the Premier League after beating Leeds United and moving to the top of the Championship. 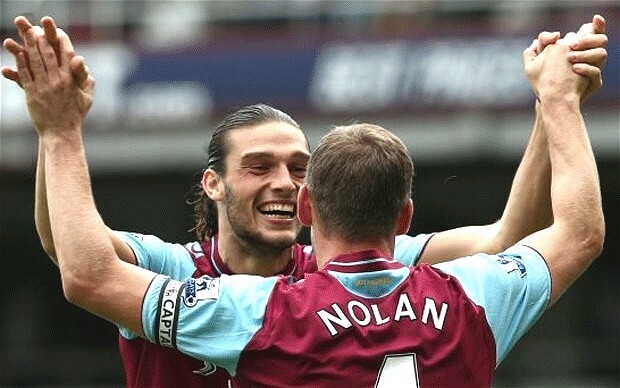 After beating West Ham 4-2 last weekend the whole team must have been very confident going into the game especially when Leeds were reduced to 10 men after 13 minutes. But they were made to work hard for their win as Leeds stuck at it and defended very well and also attacked on the counter to good effect which made the home fans very nervous towards the end of the game and maybe 2-0 flatters the Royals slightly. Adam Le Fondre stepped off the bench to score twice and prove that he can be the man to fire the team into the Premier League. The signing from Rotherham United hasn’t quite settled in as quickly as the fans would have hoped but these two crucial goals will give him the belief that he deserves to be playing Championship football at least next season. He was expected to score the goals this year but that hasn’t quite worked out, however in his defence, nobody has hit double figures for Reading this season so they have had to rely on goals from all over the pitch with even centre back Alex Pearce chipping in with five goals this season. If Reading do get promoted, do they have a good enough squad to compete in the Premier League or are they just very good Championship players? In goal they have Adam Federici who in my opinion is very underrated outside of the Championship but he is one of the best in the league and has made some heroic saves this season. Including an important one against Leeds when Robert Snodgrass had the opportunity to score but Federici stood up for as long as he could and palmed it away. The defence is a mixture of potential and experience. Ian Harte is one of the best footballing left backs and has been his whole career, as it is worth remembering he once played in a Champions League semi final. How many players can say that in the country never mind the Championship? As mentioned previously they also have Alex Pearce who not only defends very well especially in the air, he also adds an attacking threat from set pieces which are usually precisely delivered by Harte. The midfield is where I think they are at their best, especially out wide where they have many options with Hal Robson-Kanu and even Michail Antonio good enough to make most teams which is remarkable seen as though Antonio is out on loan to Sheffield Wednesday. But their first choice wingers are fantastic in Jimmy Kebe and Jobi McAnuff, they are both very direct and force full back onto the back foot as soon as they get the ball. In the middle they also have quality in Jem Karacan and Mikele Leigertwood who at every opportunity look to feed the wingers and provide a good screen for the back four as well as get into the box to grab goals. The strikers is where I think they may fall down as they have good players but maybe not Premier League standard. Jason Roberts has came in and done magnificently but there is a reason why Blackburn didn’t feel he was good enough when they were in desperate need. However there were contractual issues there so maybe he would have played more of a part if that was sorted out. Noel Hunt works hard and has a great leap on him but he was easily marked out of the game by a second choice Leeds defence so they would need to invest in a striker if they do go up. I really like the way Reading play as they look to cross the ball a lot and force defenders into mistakes. Brian McDermott deserves a lot of credit and seeing his celebration after the first goal showed how much it meant to the whole club. I would like to see them go up and them to achieve some success as the fans have been fantastic over the years and the stadium deserves Premier League football once again.